This is a very simple movie with a simple plot, but yet it still holds an extreme poetic depth and several of the scenes sends you in deep thought a day or two after watching the movie. I am no expert on Chinese sword movies, but to my knowledge this is one of the most famous ones. I guess this is partly due to the imminent acrobatic prowess shown by the artist (yes, they are not only actors), but also due to one or two love stories that we can relate to here in the west. Yun-Fat Chow has an incredible calm about his person that shines through his character. This is soothing and makes you feel safe when Li Mu Bai is in the picture. 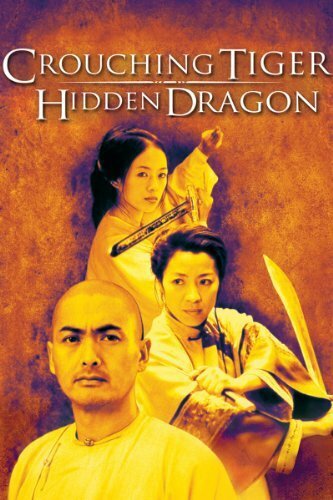 Both Michelle Yeoh and Ziyi Zhang given an unbelievable display weapon mastery combined with athletic abilities. At several points you have to stop and catch your breath. Despite my lack of full understanding of some of the details I did enjoy this movie and would recommend it if you are considering starting a journey into the fine arts of Chinese sword movies.